With the rise of wild fires impacting towns, cities and major metropolitan areas across the country, the Insurance Industry is finally getting involved to examine building codes as it pertains to fire resistant building materials & construction methods. They’re probably tired of paying out claims for homes wrecked by fires year after year, so apparently someone with some G2 decided to look more closely at the codes, what is being required, and how much those requirements or building codes cost to comply with, and would you believe it, it’s not so bad after all. I hear the rumbling and grumbling from builders all the time about the building codes and how it’s so expensive to build to meet the new criteria, particularly, fire resistant or fire safe construction. According to a recent article, it actually costs 2% less than traditional construction to build a single-family homes to meet the wildfire codes like that of California. You’re probably wondering how it costs less to do more, right? It’s all about the assembly. Let’s consider the exterior wall of your home. That is an important wall. Pretty much, that wall is designed to do a few things: (1) support your house, and (2) protect you from whatever is on the other side of the wall, fire included. Hopefully that wall was built to withstand that fire long enough for you to get to safety. So how can this wall be built to achieve an overall safer home? If your house is like most homes in America, including apartment buildings, condos, townhouses, etc., chances are the frame is wood. Wood is combustible – it will burn when subjected to fire. So in order to protect your wood-framed home, it will require some handy “components” to beef up the assembly. 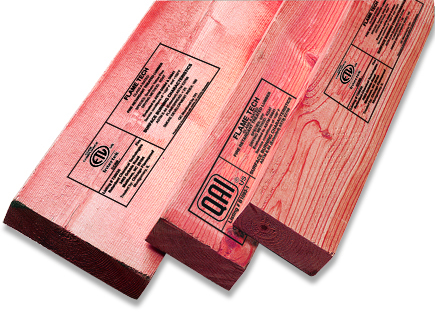 Fire Retardant Treated Wood = Non-Combustible? Did you know Fire Retardant Treated Wood (FRTW) can be used in some applications, such as fire-rated exterior bearing walls, that require non-combustible materials? True Story. This does not mean FRTW will not burn, it simply means that the fire treated wood has a delayed ignition time, flame spread and smoke development when compared to raw or untreated framing lumber, and can therefore be used in select applications where typically you’d see something besides wood. More technically, FRTW can often be used in place of noncombustible materials, for instance, exterior walls of Type I, II, III and IV buildings, and in roof structures of Type II and low-rise buildings of Types I construction. As of right now, codes don’t typically require FRTW for single-family homes, but we do have FlameTech Fire Rated Wall Assemblies that can be used in your next job, and we can show you how our system will help you save money too! Now in your bigger Type-III jobs (multi-family housing), FRTW is absolutely used in interior & exterior wall framing. In single-family homes (most commonly Type-V construction) passive fire protection is commonly achieved by using gypsum wallboard of a certain thickness and an exterior facade of a certain type to help withstand fire and protect the combustible wood frame. Yes, sprinklers are an option too. Insulation type is also critical since insulation…. INSULATES. This insulating attribute we so enjoy during the hot summer or cold winter months helps keep wood members from absorbing all that energy from a fire in addition to the more obvious benefits. Passive Fire Protection = FRTW. It does not require water or electricity to do its job, and can act on it own when subjected to fire. For the moment, fire treated wood is not often seen in single-family homes. But you’d better believe that those days are coming. The insurance industry will soon begin making a lot of noise that the cost to build the right way with more resistant materials is much more economically viable for our country than to continue building as we are; it’s already begun. We have technology on our side, plenty of history with fire, and folks like us are constantly innovating to bring new fire resistant products to the market to better protect our homes and communities from the danger of fire. “Insurers, safety advocates and disaster policy experts have urged state and local governments to toughen building codes — a move that’s often opposed by home builders over concerns it will increase housing costs, putting them out of reach of more potential buyers.” Source Article. This post features a few different topics of which cause a variety of head-shaking by me on a regular basis. The goal of this post is to provide insight and clarity into some of the key topics associated with Treated Wood, Fire Retardant Treated Wood, Preservative Treated Wood, and all the other important SEO keywords I could use to appear in your broad search results. We’ll start simple and increase our level of difficulty as we dive deeper. So ultimately, what is the purpose of fire retardant treated wood? FIRE RETARDANT TREATED WOOD (FRTW) is designed to resist to flame spread & smoke development caused by fire and/or fire propagation. That is more or less what the building code calls for, but let’s get real folks, it behooves each and everyone of us to learn how to evaluate products for ourselves. As it pertains to FRTW, you certainly don’t have to be the expert, we can help guide you! Flame Spread classification: ask to see valid ASTM E84 or UL 723 results. *the IBC requires 0-25 on flame spread index and 0-450 on smoke development. **the IBC also requires an extended 20 minutes of testing on top of the initial 20 minute E84 test, so make sure the test results reflect that extended test duration. Hourly Fire-Resistance rating: ask to see valid ASTM E119 or UL 263 results. *it is critical that you understand HOW to specify/build a tested & certified rated wall assembly to be compliant by code. If the assembly is not built in accordance with the test documents and assembly design, it’s a building code violation. **Insulation types (density & thickness) along with drywall (type & thickness) are key ingredients (components) in a fire-rated wall assembly. Use the wrong components, and the assembly won’t work. 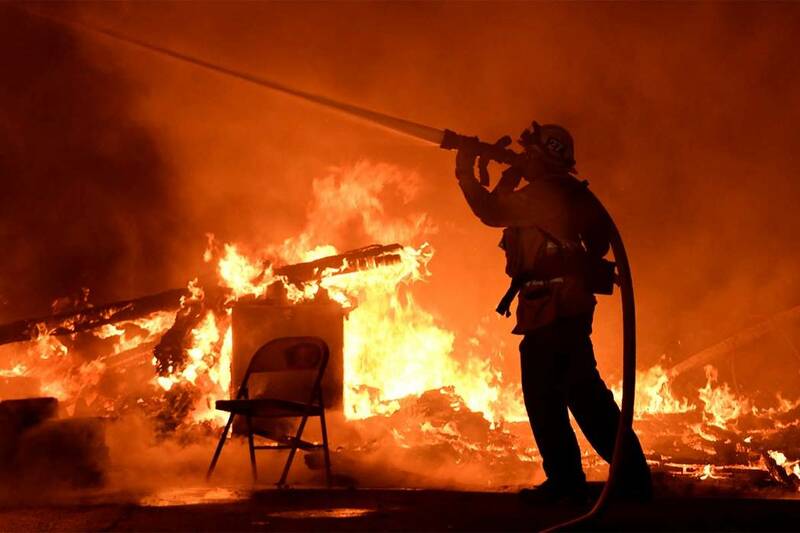 Fire treated material are used in critical structural applications, such as fire-rated exterior bearing wall assemblies, to allow sufficient time for occupants to escape and first responders to arrive and begin emergency operations. Therefore, we have “fire-rated wall assemblies” that have been tested for some period of time (1, 2, 3, 4-hours) that were designed to resist fire – versus materials that have a certain flame spread rating (Class-A, B, C). During fire development in a compartment: a room, wall cavity, attic… surface treatment technology plays an important role in fire development, prior to flashover, which include the components of ignition, flame spread, and the release of heat, smoke and gas. 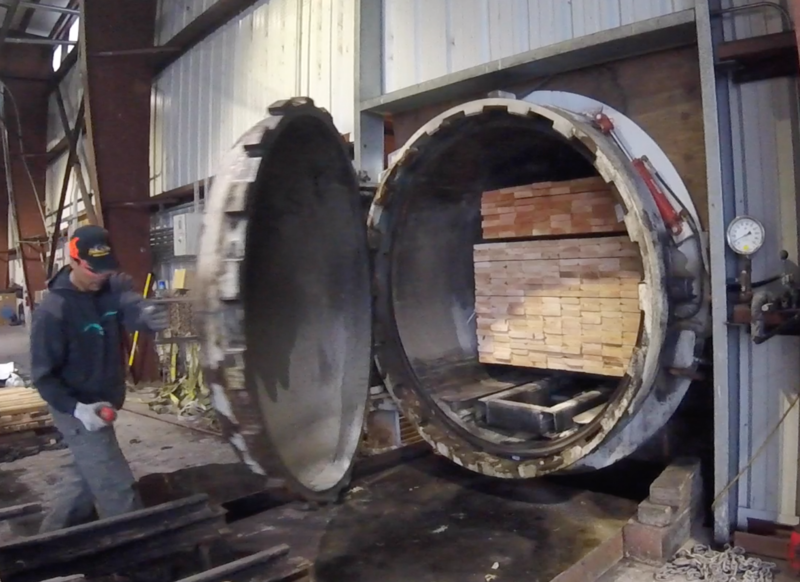 ASTM E84 or UL 723 tests the effectiveness of a treated product during these pre-flashover conditions, or more formally, the test is known as the Standard Test Method for Surface Burning Characteristics of Building Materials. Also, know this… ALL FRTW is required to be Class-A in accordance with (IAW) section 2303.2 of the IBC, but not ALL FRTW has hourly fire resistance ratings ~ fire-rated assemblies. If you need an FRTW product with a true 1-hr and 2-hr fire resistance rating, you have slim pickings, unless of course your designer rocks out to REM while working the Component Additive Method (CAM)* for determining fire resistance in an assembly. To quickly determine if an FRTW product has been tested for fire resistance IAW ASTM E119 or UL 263, refer to the product’s third-party evaluation report or the Assembly Design documents. Checkout the FlameTech Fire-Rated Wall Assemblies by clicking HERE. And speaking of third-party research reports…. “Kid, do you actually want a coke, or do you want a soda? Funny way to start this section but you’ll understand why shortly… Often, people ask to see an “ESR” when they want to review a new product, or maybe they say to me, “Well, I went on your site and I couldn’t find your ESR so I stopped there…” To be clear – “ESR” stands for Engineering Services Report. It’s a product name for a specific document, just like FlameTech is my FRTW product’s name. We gave it a name because we want consumers to associate our products with our awesome brand. ICC’s Engineering Services did the exact same thing when they turned an internal process, creating evaluation reports, into a profit center. If an ESR is not required, can I use another type of third-party research report? Yes. THE REQUIREMENT, as mandated by the International Code Council, is to have a valid third-party research report and coinciding data from a laboratory or inspection service accredited by the International Accreditation Service (IAS). To make this easier, the ICC provides a website that allows you to go and check out if some lab or test agency has the proper creds and if they can do the kind of testing and inspections that are required by the code. Click this link RIGHT HERE to check out your product’s credibility. Once the results are returned, select the “View Certificate AA-647” link on the left. View Intertek Testing Services NA, Inc. Scope of Accreditation which includes wall assemblies and fire retardant treated lumber and plywood. How does the evaluation report process work? Simple. Submit your product’s testing data to the engineering folks to evaluate your treated product for compliance with the applicable codes and standards, pay some $, and if your ducks are in a row, you’ll get a report. Do we need to continue beating this drum? Just know that there is more than one approved method of getting to a desired end state, you have options… that does seem to be the theme of this post. You deserve better, your business deserves better, and so do your customers. With the continued increase in seasonal wildfires year after year, the building codes are becoming more stringent thereby requiring increased fire protection. 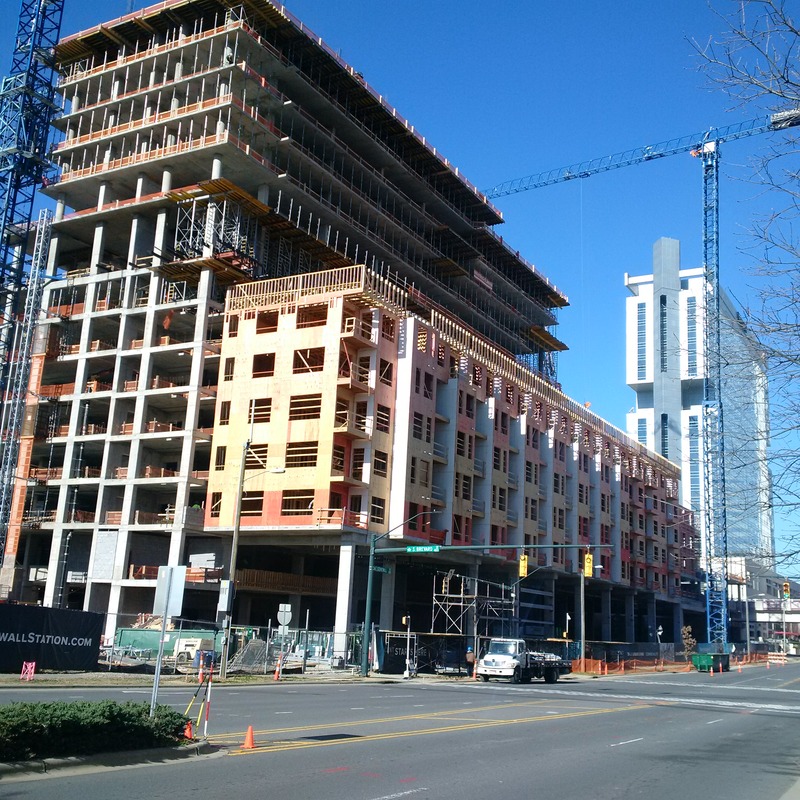 Different cities and jurisdictions have even gone so far as to make their own engineering judgments as to what they deem appropriate levels of fire protection in wood-framed buildings. Furthermore, many jurisdictions are open to the use of alternative materials so this should be music to your ears, it is to ours. Honestly, get used to the idea of fire treatments (yes – that is plural) and get cozy with the building codes so you can best assist your outside-the-box thinking customer while also keeping the conmen at bay. I’m not sure about the rest of the Industry, but we’re busy innovating and have much in store for you! Thanks for reading. The online courses includes sections on types of preservative & fire retardant treatments and required levels of retention as dictated by end-use application, desired service life, and exposure conditions; specifying with American Wood Protection Association Use Categories; preserved wood and building codes, including current issues concerning treated wood in residential and commercial construction; and an overview of Best Management Practices (BMPs). Learn more about Western Wood Preservers Institute by visiting their website at https://wwpinstitute.org/. 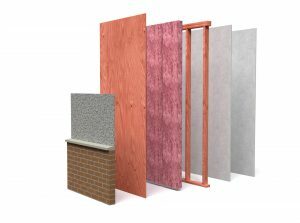 Insulation Requirements for wall assemblies — Did You Know? Did you know that Fire Rated Wall Assemblies built with Fire Retardant Treated Wood (FRTW) have precise insulation requirements that spell out the exact material, thickness and density you’re required to use? If you’re a builder, architect, engineer, you more than likely know that your local energy code requires specific minimum insulation requirements for your everyday wall assemblies. Did you know that these two insulation requirements are independent of one another? Let’s say your local code requires minimum R-21 insulation in the walls. The R-21 materials meet the code for your common insulation applications EXCEPT for your Rated Wall Assemblies, or to be more precise for the sake of our conversation, Fire Rated Wall Assemblies. What does the common Fire Rated Wall Assemblies consist of (from the inside of the wall)? So why is insulation such an important component of a Fire Rated Wall Assembly? As a firefighter, specifically when working as an aircraft firefighter, we were exposed to extreme heat when fighting fuel and/or aircraft fires. To prevent this ridiculous heat from deterring us from doing our jobs (putting the wet stuff on the red stuff, or rolling on the foam) we wore special firefighting gear that provided multiple forms of insulation from the effects of fire ~ heat. Additionally, and due to the radiant heat generated by these large fires, the exterior of our bunker gear was made of a shiny material that helped reflect that radiant heat which often melted face shields, truck lights & beacons, and signed any exposed body hair. So, if the insulation of a firefighter when doing their job is MISSION CRITICAL, then the same can be said of Fire Rated Wall Assemblies; they too require precise insulation, in varying forms, to do their jobs, otherwise, these assemblies would not last when subjected to fire. They would fail! Insulation materials in wall assemblies run the gamut of bulky fiber materials such as fiberglass, rock and slag wool, cellulose, and natural fibers to rigid foam boards to sleek foils that reflect energy; there’s all kinds of stuff available on the market. The difference amongst these materials is (a) they’re different, but (b) they all have varying densities, thicknesses, R-Values, end-uses, exposures, etc., and of course, with all the different options, cost becomes a major factor to consider. FlameTech Fire Rated Wall Assemblies allow for the use of 3-1/2” (2×4 framing) 5-1/2” (2×6 framing) thick R-13 fiberglass batt insulation, the general everyday stuff you see on jobs. Our competition’s Fire Rated Wall Assemblies, for the most part, were tested and certified with costlier R-15 high-density fiberglass insulation and/or mineral wool insulation. By the way, if a Fire Rated Wall Assembly is not built as tested & certified, and in accordance with the Rated Wall Design, meaning that the correct components were utilized in the construction of the wall assembly, it’s a Building Code Violation. In other words, to remain within the design criteria, the assembly must be constructed as specified in the published design. So how is one FRTW assembly allowed to use one kind of insulation, and another assembly must use another type of insulation? Simply put, and without getting all technical, some Fire Rated Wall Assemblies are much higher performing than others because of the base FRTW lumber & plywood products being used (there are different brands), and can therefore obtain hourly Fire Resistance Ratings using cheaper assembly materials, while other assemblies and their base FRTW products may have been developed eons ago and therefore require more robust insulation requirements so they can obtain a specific Hourly Fire Resistance Rating. Selecting your Fire Retardant Treated Wood. The next time you select a brand of FRTW lumber & plywood, you must consider the overall cost of the Fire Rated Wall Assembly and this has everything to do with what the assembly is composed of. Are you simply selling cheap lumber, cheap drywall, cheap insulation and framing to get the job, and are you selling the correct materials to support the Fire Rated Wall Assemblies? Your customer depends on you for this knowledge and value. How do you know if you’re using the correct insulation on your job? Always refer to the Fire Rated Wall Assembly Design (example: FlameTech 2-Hr Fire Rated Wall Assembly) and associated Design Number to review the required/specified materials, and read ALL the details, including the fine print. There are often many references to the code that are hard to find, asterisks annotating special requirements for use with “this and that”, etc. Some manufacturers have made some clever propaganda/marketing materials with colored insulation allowing you to make an assumption about what kind of insulation is allowed for use. You remember what folks say about assuming, right? So why the big fuss? This insulation requirement in Fire Rated Wall Assemblies is a major issue, that in our opinion, has been totally missed and long overlooked. Most want cheap solutions and some are willing to cut corners just to put money back in their pocket. Our focus is on preserving life and property in concert with building code requirements through the manufacturing, specification, and sale of high-performance treated wood products, and we’re good at what we do!